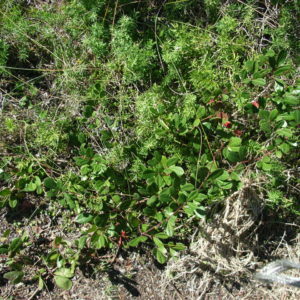 Usually a woody climber to 15 meter, occasionally a small bushy tree 3 – 4m in height. 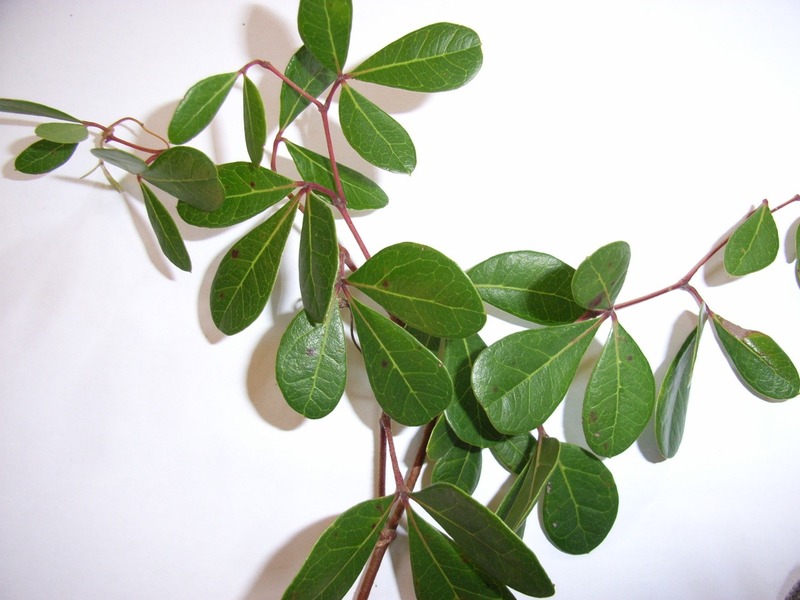 Leaves with 3-5 leaflets, (easily confused with Searsia species). Flowers greenish yellow on short stalks Nov. – Jan. Fruit round, fleshy, purplish black.